About month ago, I volunteered for the Special Olympics World Winter Games in Austria. It’s amazing how fast time has gone! Like every Special Olympics event I’ve ever been to, the best part was the athletes. I arrived in Austria on March 17, and I was feeling a little lonely. Once I got into my Airbnb, I decided to go for a walk, and I chose to walk to the Hauptplatz in Graz because that’s the main square. I was so excited to find that there was a huge dance party for the World Games at the Hauptplatz! Special Olympic athletes love dancing, and I was able to dance with Team Austria, Team Spain, and Team Chinese Taipai that night. Everyone was dancing to a DJ who was playing a lot of popular music, and it was incredible. Many times throughout the night, all the dancers did the congo line. I felt really caught up in the music and the spirit of the Games. It was the best St. Patrick’s Day I’ve ever had! After that Friday, I kept seeing many of the athletes, and the Austrian athletes made me feel very welcome. Every time I saw them, they waved, smiled, or gave me hugs even though I couldn’t really understand them since they spoke German, and they couldn’t really understand me since I spoke English. One of the athletes from Austria gave me this pin (Österreich is Austria in German), and it was one of the first pins I received these Games. The Austrian athletes were wonderful hosts, and they were one of the best parts of my trip to Austria. I took this picture with them on the last day I volunteered. Most of them were stick shooters and had won gold! Thanks for reading! Happy Trading Tuesday! Even though we are both from New York, are involved with Special Olympics New York, and actually live a little more than an hour away from each other, I didn’t meet Katy Sanchez until I went to Los Angeles. We were both at the Just-in-Time Training for volunteers at the World Games. I thought I had seen her before (and I had), so I introduced myself to her and her mom, Susan. It was great to find fellow New Yorkers in LA! We met up a few more times in LA, helped each other to get around on the metro, and then I saw her and her mom at the most recent State Games in October where she competed in golf. The Olympics of Blogs: How long have you been participating in Special Olympics? The Olympics of Blogs: What sports do you compete in? Katy: The sports I compete in are golf, soccer, floor hockey, basketball, track and field, cycling, and I even do triathlons. The Olympics of Blogs: What is your favorite sport? Katy: My favorite sport is basketball because my brother taught me how to play the game. 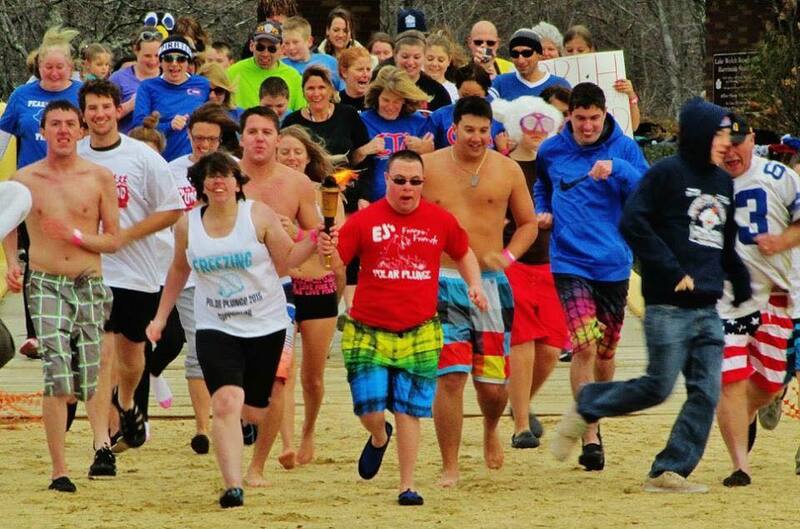 The Olympics of Blogs: What is your favorite thing about Special Olympics? Katy: My favorite thing about Special Olympics is that we have mutual respect for each other. The Olympics of Blogs: How many medals have you won? Katy: I’ve won 99 medals so far; more are coming this year! 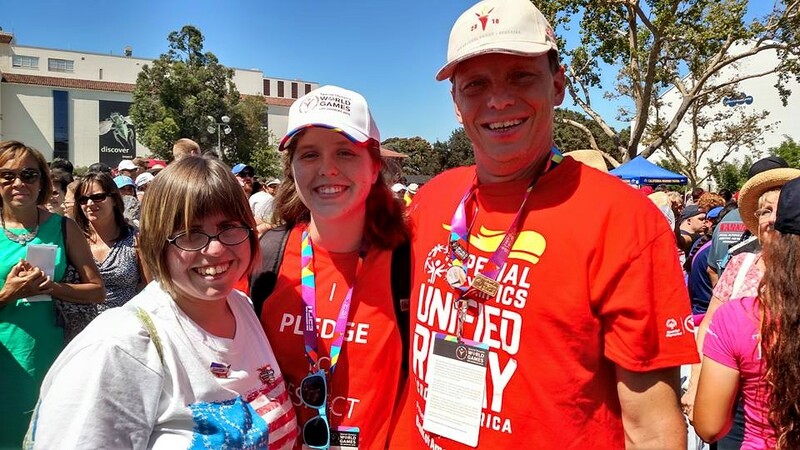 The Olympics of Blogs: What was your favorite experience at Special Olympics? 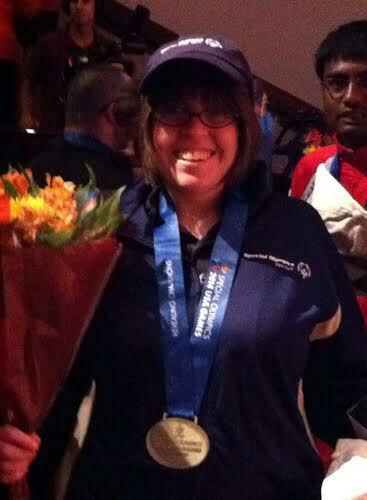 Katy: My favorite experience is becoming a Global Messenger for Special Olympics New York. I enjoy speaking about Special Olympics to the community! The Olympics of Blogs: What was your job at the World Games? Katy: I was an athlete volunteer at the World Games in LA in July of 2015. I volunteered at soccer and received soccer balls, and one day at Tennis, I helped out the fans! The Olympics of Blogs: Based on your experience at the World Games, how is volunteering as a Special Olympics athlete different from competing? 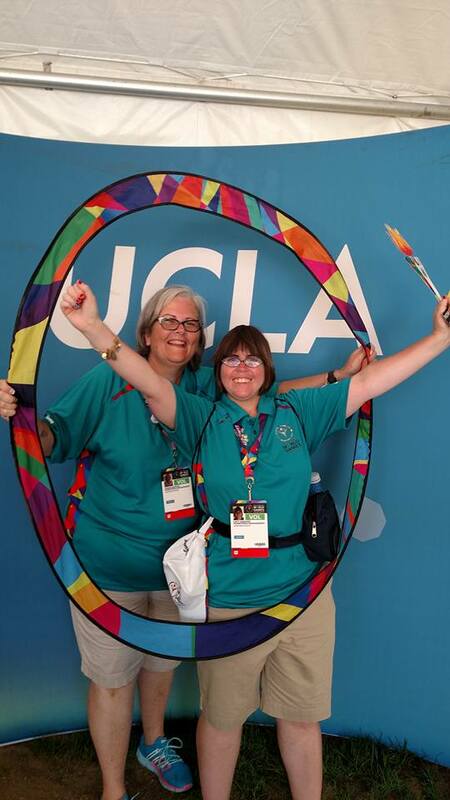 Katy: My experience as volunteering at World Games in LA in July of 2015 was that I got to support other athletes that were competing! The Olympics of Blogs: What other Games have you been to, either as a competitor or a volunteer? Katy: I’ve been to National Games in 2010 in Lincoln, Nebraska, for track and field with Team Virginia. Also in 2010, I got to go to Latin America with my Team Virginia Area 26 teammates [for the Latin American Games]. Also I went to the 2014 USA Games in New Jersey for triathlon with Team New York. 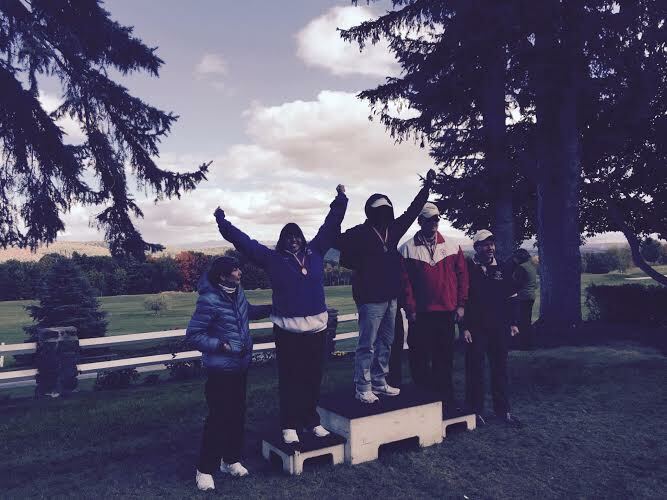 The Olympics of Blogs: Have you ever done any speaking activities for Special Olympics? What were those? Katy: I have done a lot speaking opportunities, but my favorite one was New York City Gala, where my speech was a moving one!! I spoke in front of 700 people. The Olympics of Blogs: What does Special Olympics mean to you? Katy: Special Olympics means family. I have always said it’s my second family because we protect each other. It also means accepting who we are. Also, we are inspiration to others. The Olympics of Blogs: Is there anything else you’d like to say? Katy: BE A FAN OF Special Olympics! I would love to see more Unified teams in high schools and colleges!! Katy’s goal is to be an International Global Messenger for Special Olympics International and/or to compete in the World Games. Good luck, Katy!